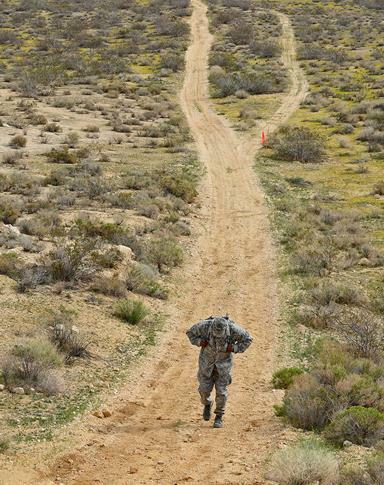 EDWARDS AFB – It’s commonly said that the most valuable gift we can give to another is our time, especially when it’s spent marching through 11.5 miles of steep and rocky, desert terrain in remembrance of those who have served. For more than 30 participants, that opportunity arose during a ruck march held March 4 to honor fallen Defenders of U.S. Air Force Security Forces and law enforcement . The ruck march began at the Combat Arms Training and Maintenance building by Camp Corum and ended at the communications tower near the edge of Rosamond, perpendicular to the Edwards AFB sign on the west side of base. For one of the ruck march organizers, the event held a greater significance since it was a way to initiate something for all and carry on the legacy of a fellow, fallen wingman. For other marchers, the event was also used as an opportunity to remember and pay tribute to their fellow wingmen as well. 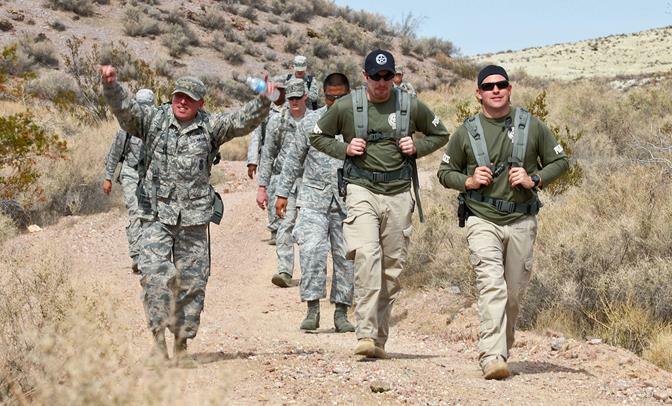 Participants of the ruck march included people from the Personnel Section, the 412th Maintenance Group, the 412th Communications Squadron, the U.S. Marshals Service, to include two retired Defenders and Defenders from the 412th SFS. “Well, since I’m a Reservist for the 412th SFS, I found out about the event and I wanted to come out here and support it as fellow law enforcement,” added Deputy Zach Tyler, U.S. Marshals Service. 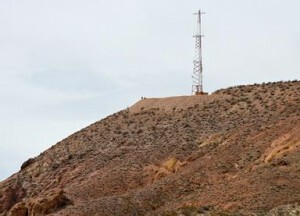 Of the more than 30 personnel that took part in the ruck march, Kempf noted that all were given a black ribbon to don during the 11.5-mile march that began at the Combat Arms Training and Maintenance building, ended atop the mountain with the communications tower near the edge of Rosamond, Calif., and perpendicular to the Edwards AFB sign.